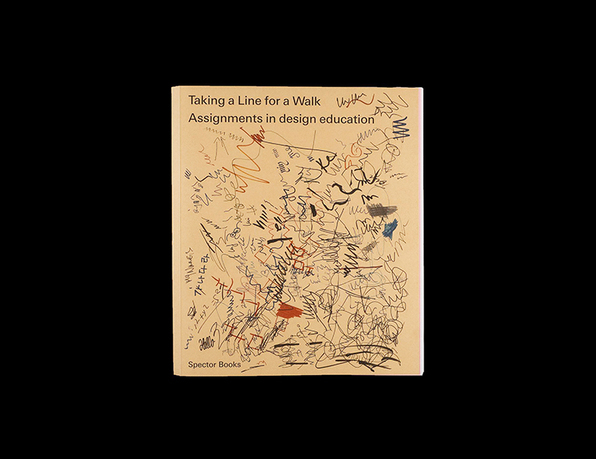 Emilia Bergmark, Corinne Gisel & Nina Paim, cover of Taking a Line for a Walk, Assignments in Design Education (Spector Books, 2016). Courtesy of the authors. The publication Taking a Line for a Walk brings attention to something that is often neglected: the language and verbal artifacts of design instruction. Assignments can give instructions, describe an exercise, present a problem, set out rules, propose a game, stimulate a process, or simply throw out questions. This book is a compendium of 224 assignments, coedited by Nina Paim and Emilia Bergmark. Including contemporary and historical examples, it offers a space for different lines of design pedagogy to converge and converse. As such it is a reference book for educators, researchers, and students alike. 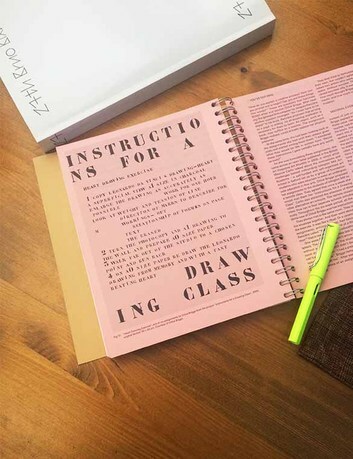 An accompanying essay by Corinne Gisel takes a closer look at the various forms assignments can take and the educational contexts they exist within. Taking a Line for a Walk derived from an exhibition of the same name at the International Biennial of Graphic Design Brno 2014. Emilia Bergmark is a visual artist living and working in Malmö and Copenhagen. Her practice uses as source material the narrative of the everyday. 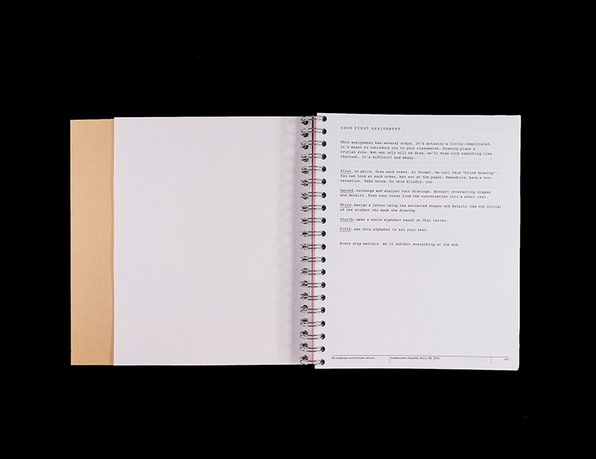 In her work she rewraps phenomenological observations into poetic visual anecdotes in the form of writing, installation, film, and printed matter. Bergmark is currently finishing her master's degree at the Royal Academy of Fine Arts in Copenhagen. Previous education includes combined studies in art and graphic design at the Gerrit Rietveld Academie, with a special focus on art and research, as well as a year of studying at, and running, the alternative education initiative School of the Damned in London. 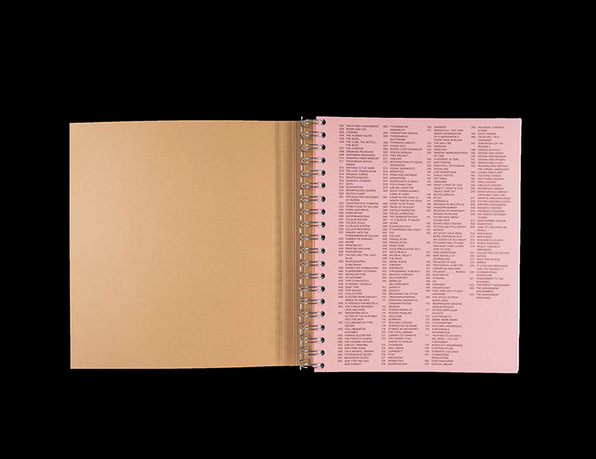 Bergmark codesigned the exhibition about assignments in design education Taking a Line for a Walk at the 26th International Biennial for Graphic Design Brno 2014 and coedited the book under the same title with Nina Paim and Corinne Gisel. Corinne Gisel is a Swiss design researcher, writer, and graphic designer. After graduating from the Gerrit Rietveld Academie in 2012 she mostly worked in editorial design and visual identity design. In June 2013, her collaboration with Nina Paim was nominated for the Swiss Design Awards. By now, her practice is moving more towards design journalism and research. As an observer and thinker her eye is on the changing landscape of design, culture, and the creative economy. Her goal as a writer is to tell stories that show how our world is shaped by technological advances, social conditions, and ideological interests. She advocates for designers to become more politically aware, socially responsible, and ethically conscientious—something that she is also seeking to do in her own practice. She currently lives in Zurich, where she works as an independent designer and writer, and is pursuing a graduate degree in cultural publishing studies at Zurich University of the Arts. Nina Paim is a designer, researcher, educator, and curator living and working in Switzerland After a detour into economics and philosophy, Pai, studied graphic design at Esdi (Brazil) and the Gerrit Rietveld Academie. Her graduation project was the temporary experimental design school, Escola Aberta, which took place in Rio de Janeiro during the first week of August 2012. Shortly after receiving her BA, Paim went to work for graphic designer Julia Born, with whom amongst other things she designed the book Flucht nach vorn, awarded the Most Beautiful Books of 2013. Since 2013 she is an independent practitioner. Her work usually involves many others and revolves around notions of supporting, directing, and collaborating. As an educator, Paim has taught at the Gerrit Rietveld Academie, the Basel School of Design, FBAUL Lisbon, the Estonian Academy of Arts, Ésad Valence, and Krabbesholm Høsjkole, among others schools. In 2014, Paim curated and designed the exhibition Taking a Line for a Walk, for which she was awarded a Swiss Design Awards in 2015. 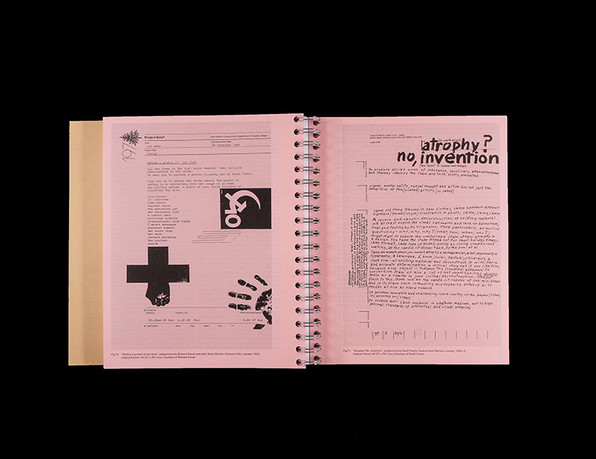 In January 2017, Paim concluded her MA in design research at the Hochschule der Künste Bern, investigating the history of the Swiss publishing house Niggli. Her research will become a book, which will be published by Triest Verlag in 2018.